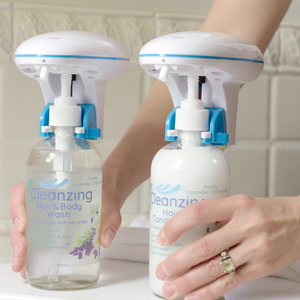 Elevating Your Lifestyle with naturally refreshing & hygienic products begins with Cleanzing Company’s Spraymiss touch-free dispenser! 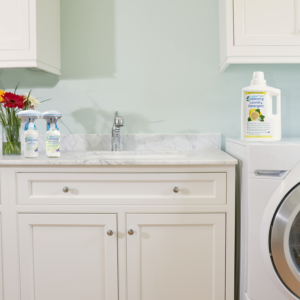 Spraymiss is the most sanitary way to dispense personal care products. 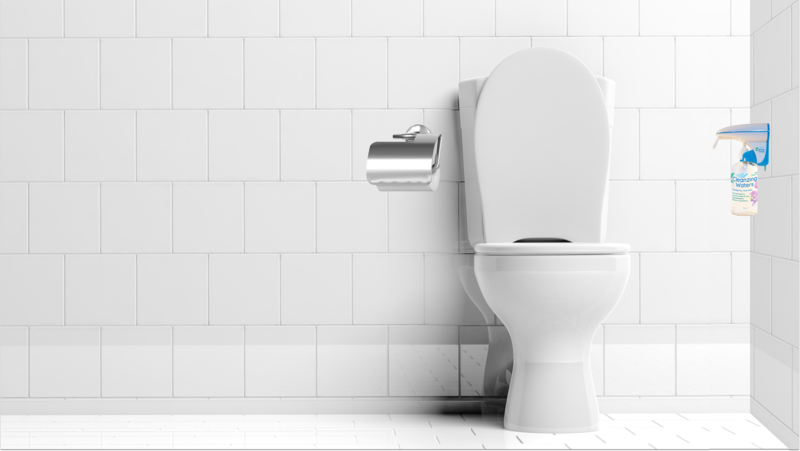 Using Spraymiss not only improves hygiene by reducing contact with germs, it also helps our oceans recover from polluting wet wipes! 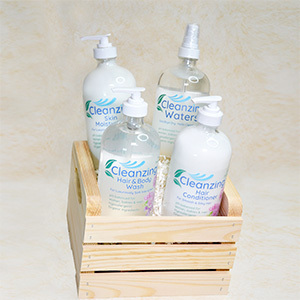 Whether using Cleanzing Waters in the bathroom to mist your toilet paper before wiping, or revitalizing your facial skin with Cleanzing Waters and a cotton pad, or changing a baby’s diaper and wiping with Cleanzing Waters on an oversized, 100% cotton Cleanzing Wipe & Washcloth, Spraymiss dispensers set a new, delightful, and ‘ocean-friendly’ moist wiping standard. Power your Spraymiss either with four C batteries, or the optional power adapter. To install batteries, first remove the gray mounting bracket on the back. Push UP on the tab at the bottom and slide off the wall mounting bracket. To open and load the battery compartment (1), push UP on the two tabs on the back. Install four C batteries and snap the battery compartment door closed. 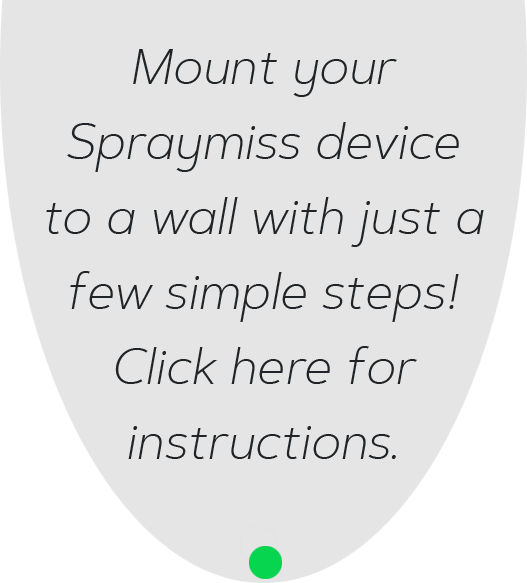 Spraymiss may be used on a counter, or wall-mounted. To wall-mount Spraymiss, install the mounting bracket (2 & 3) using the screws and plugs included in the box and slide Spraymiss onto the bracket (4). Standard with every Spraymiss unit are both spray and cream dispension pump types. 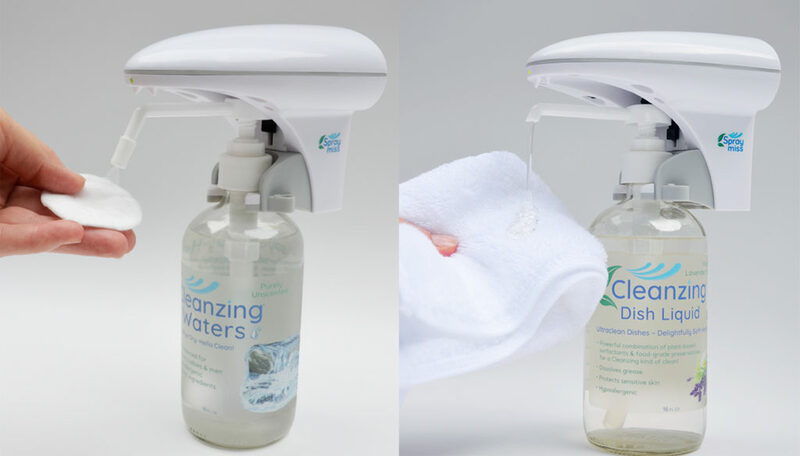 Each Spraymiss touchless dispenser comes with two pumps that attach to Cleanzing bottles – one for Cream (5), and one for Waters (6). Choose your Spraymiss pump according to the Cleanzing product used. 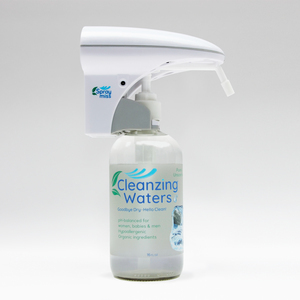 For Cleanzing Waters, use the longer pump. 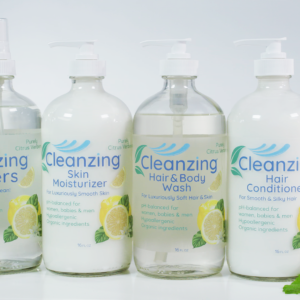 The shorter Cream pump nozzles have larger orifices than water nozzles and are optimized for use with thicker products like Hair & Body Soap, Hair Conditioner, Moisturizer and Dish Liquid. Attach the tube (7) to the pump. 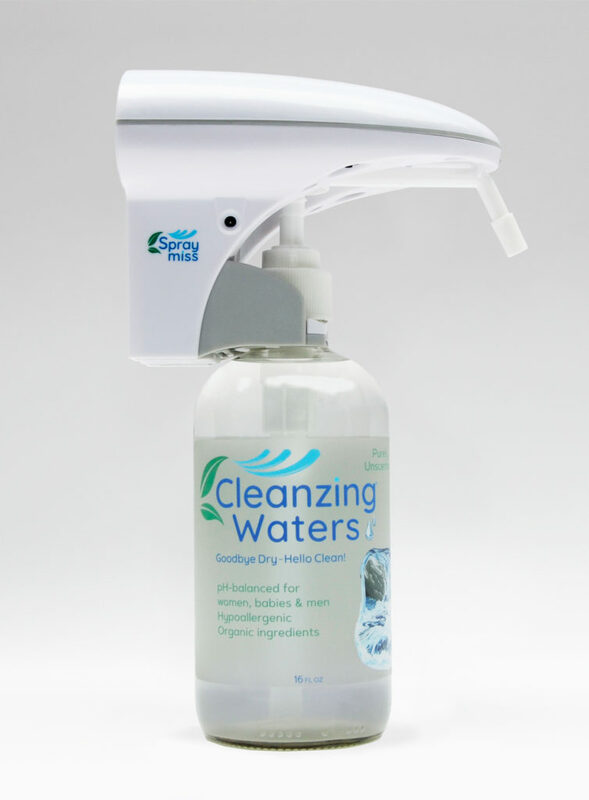 To attach Spraymiss to the Cleanzing bottle, unscrew the hand-pump dispenser provided with your Cleanzing product, and discard it or save it for another use. 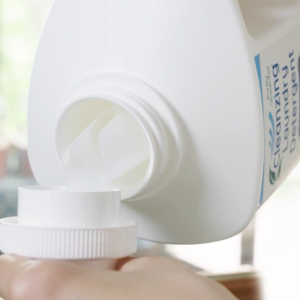 Attach the pump to the bottle without overtightening. Firmly grip the Spraymiss by the flat back. 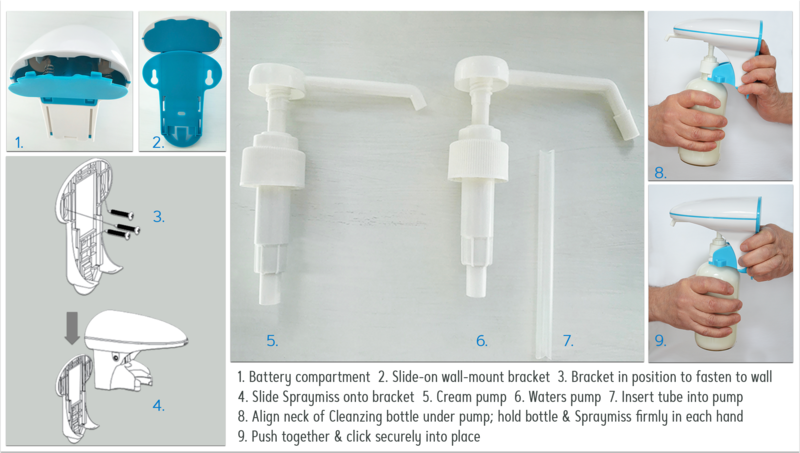 With your other hand, slide the neck of the bottle with the Spraymiss pump onto the Spraymiss dispenser (8) until it clicks securely into place (9). Pointing Spraymiss up while looking at the underside, find the recessed black ON/OFF button on the left. To turn on Spraymiss, press and hold this button until the light on the tip of the Spraymiss turns from red to green. 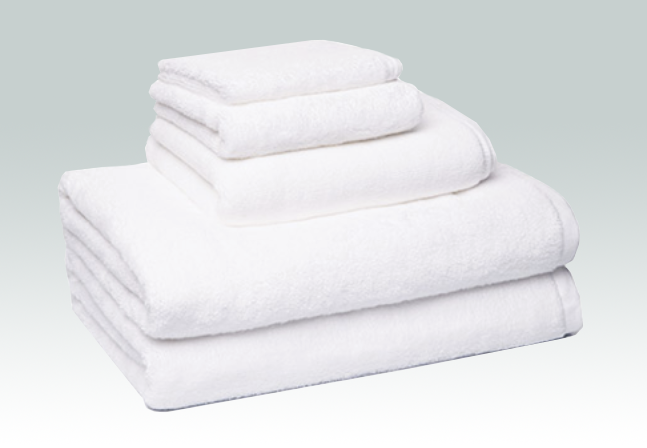 It’s not recommended to turn the unit off and on frequently – just set it and forget it! 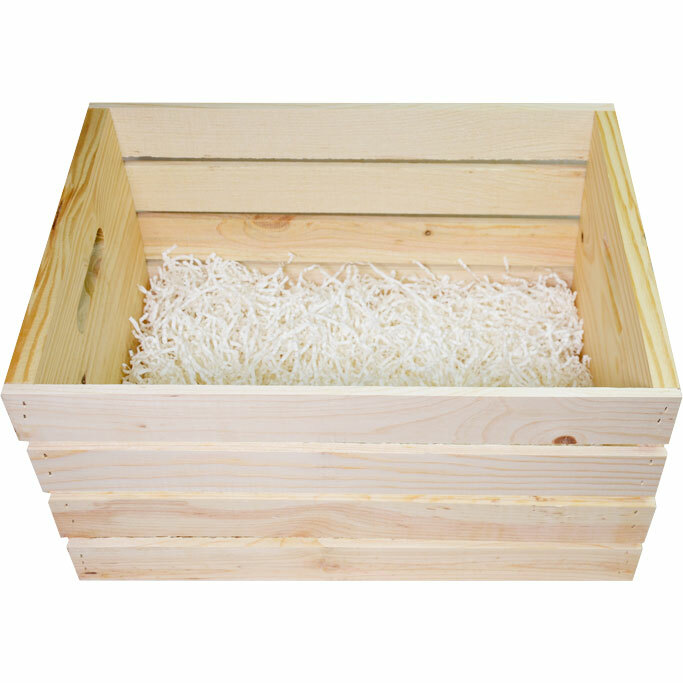 Place Spraymiss on your countertop and its ready for use. 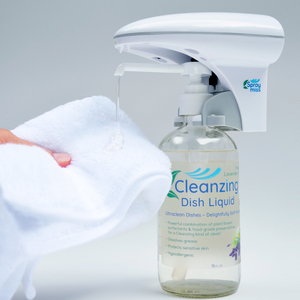 Just pass a hand or cloth within 3 inches of the nozzle and Spraymiss will automatically dispense. 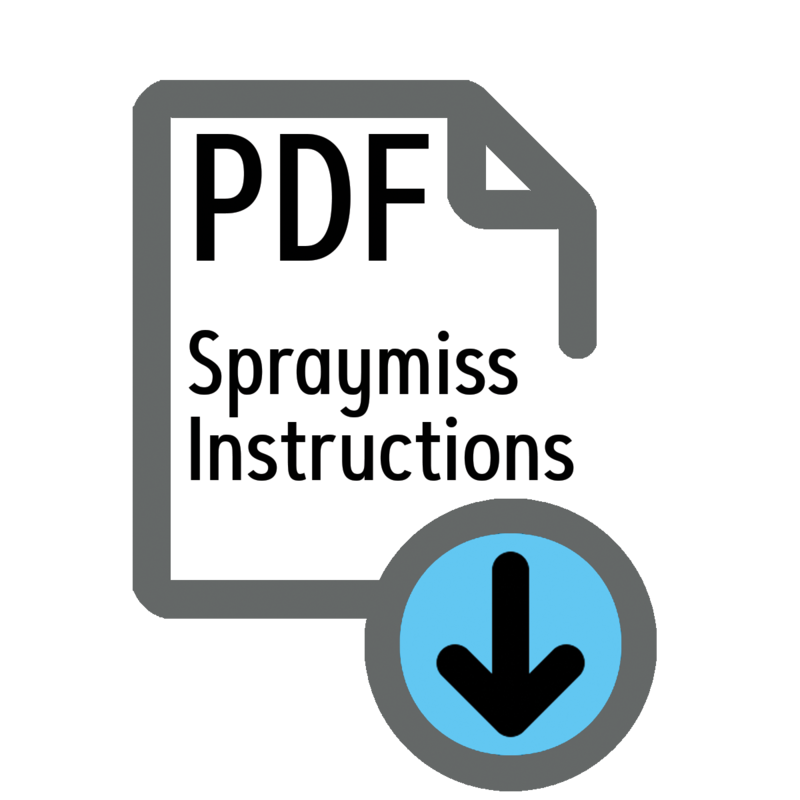 Spraymiss can be SET to dispense more or less product by toggling the black SET button, opposite the ON/OFF button. 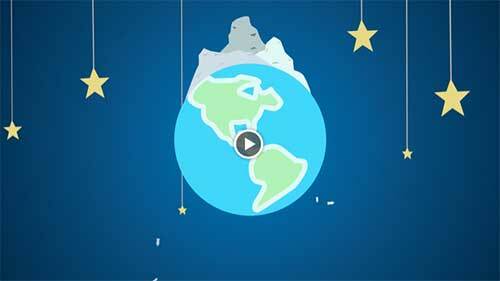 If you prefer to use an electrical adapter rather than batteries, click here.